Squirtle is another one of my LEGO Pokemon. He's my fifth one. 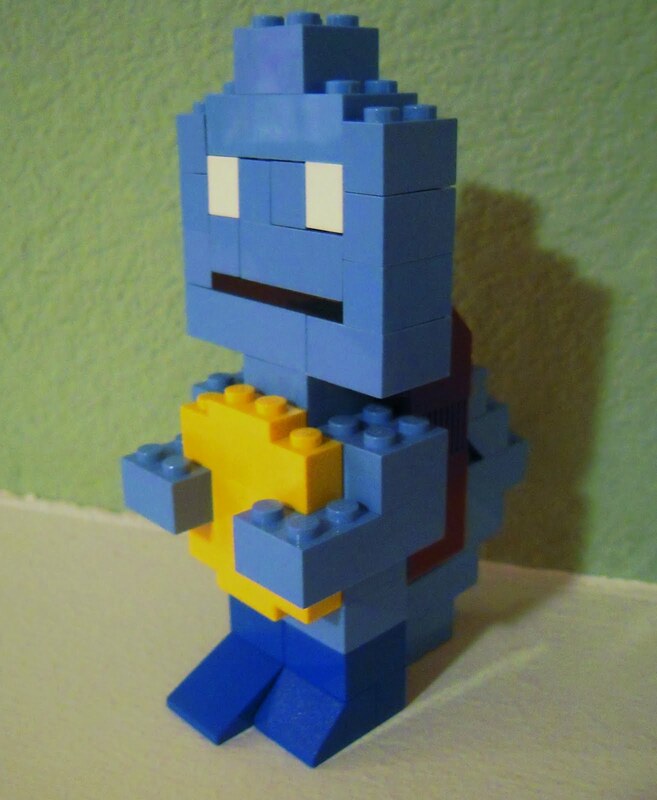 He's blue, has a squirrel's tail, a turtle shell, and has dark blue feet. I'm a Pokemon fan, and ever since I read a book about every Pokemon ever made, I got interested in making LEGO Pokemon. 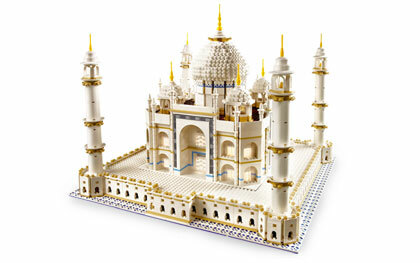 Did you figure out the answer to the riddle, "What exclusive LEGO product has 5922 pieces, and includes minarets, domes, finials, arches, and stairs in the front?" The famous Taj Mahal jewel of India is known all over the globe for its incredible beauty and elegance. Now you can recreate this modern wonder of the world for yourself! Designed for experienced builders, the LEGO Taj Mahal model features advanced building techniques, rare elements and colors, and realistic details of architecture. With over 5,900 pieces, the Taj Mahal makes an awesome addition to any LEGO collection! Which LEGO theme has more LEGO sets: LEGO Toy Story or LEGO Prince of Persia? We'll post the answer to this new riddle next week. Have fun!